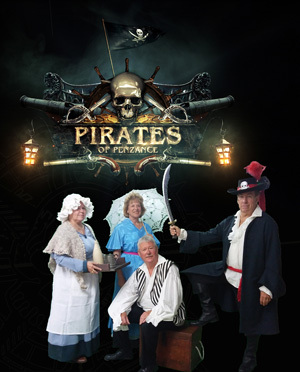 In March 2018 Sounds Familiar performed a staged concert version of The Pirates of Penzance. The cast was fully costumed but also had a narrator (complete with deckchair). All the dialogue and songs were included, but no dancing or other movement. The story, written by Gilbert & Sullivan, revolves around a group of hapless pirates, who are less than successful in their endeavours, and the coming of age of Frederic their apprentice who leaves to find true love. After adding in the Major General, his daughters and the local constabulary and you have all the elements for a typical farce.